Last night, in a stunning move, The Academy of Motion Pictures Arts and Sciences retired. There will be no more Oscars awarded for the foreseeable future. There will be no 86th Academy Awards. Citing irreconcilable differences, the academy, comprised of 6000 movie professionals, seem to be taking their cue from Pope Benedict XVI’s decision to retire a week earlier. While some Academy members were disturbed by these developments others looked forward to obtaining stock options in the red carpet itself as well as a lifetime-supply of half-priced movie tickets. “I plan to spend the added free time counting my gold bars,” said Samuel Goldwyn Jr., producer and wealthy despot. Joan and Melissa Rivers, meanwhile, who cover red carpet fashions for E!, got into a tizzy. Such extreme measures may not be necessary. For a burgeoning group of cinephiles, L.M.M.T.O.W.C. 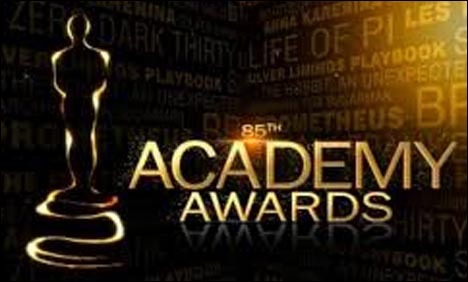 (Love Movies More Than Our Wives Club), are petitioning The Academy to reinstate the 2014 Oscars with Pope Benedict XVI as host.